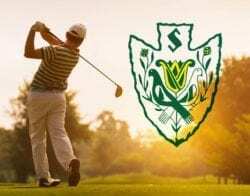 Spring has sprung and The Shawnee Inn and Golf Resort is gearing up for the 2019 golf season! Our course will be opening March 30th and it’s the perfect time to take advantage of our early golf specials, like free golf! And don’t forget to book your stay and play packages. The Shawnee course was completed in 1911 and is A.W. Tillinghast’s first-ever design. The course has a tee to green irrigation, ensuring the best golf conditions in the Poconos. With 24 holes of the 27 holes on an island in the Delaware River, this classic design features individually distinctive holes, while keeping a steady rhythm to their sequence. One of only two A.W. Tillinghast courses open to the public, each nine has traditional, tree-lined fairways and undulating greens, with the mountains providing a scenic backdrop. The Shawnee Inn and Golf Resort boast a long line of greats who’ve played our championship courses, including Walter Hagen, Sam Snead, Arnold Palmer, Lawson Little, Long Jim Barnes, and Johnny Farrell. How does free golf in the Poconos sound? That’s right, from opening day until April 25th, pay just the cart fee to play a round at Shawnee. $25 Monday through Friday and $35 on Saturday and Sunday. Take advantage of our gift card sale, buy a $140 gift card (4 weekend rounds) and get a $35 bonus card (1 weekend round) free! Gift Card offer ends March 31st. Join the Shawnee Country Club to enjoy special members-only discounts and benefits. Some of the benefits include unlimited play any day/any time at Shawnee, 14-day advanced tee time reservations, use of the driving range, 6-hole chip and putt, and short game practice facility. A private locker, private club room, use of the indoor pool, fitness center and tennis courts are all additional benefits. Discounts include 10% off regular priced golf shop merchandise and 10% off individual lessons and golf schools Members also enjoy 25% off spa treatments and 20% off the going rate for lodging at The Shawnee Inn & Golf Resort, and much more! New Members pay no initiation fee and receive 35% off the prevailing rate for first-year dues. Without a doubt, this is the most incredible membership invitation for the Best Golf in the Poconos.